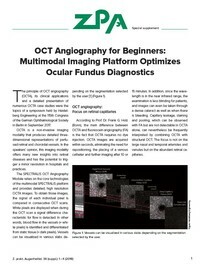 Learn more about the impact of the multimodal imaging platform SPECTRALIS® and its OCT Angiography Module on ocular fundus diagnostics with case studies from Prof. Dr. Frank G. Holz, Prof. Dr. Antonia Joussen, Dr. Maximilian Pfau and Dr. Dominika Pohlmann. 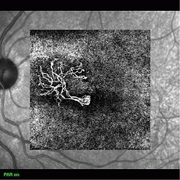 How can the SPECTRALIS® OCT Angiography Module* help you in your clinical diagnostics? The high resolution OCTA images provide precise segmentation and visualization of all relevant vascular plexuses for a comprehensive clinical view at the push of a button. The new projection artifact removal (PAR) tool utilizes information from the superficial vascular plexus and reduces unwanted artifacts from OCTA images of the outer retina. Vascular structures and pathology can be visualized more precisely. 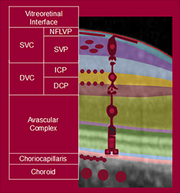 Curious about the OCT Angiography Module? Please get in touch with your local sales consultant.